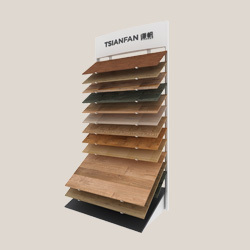 Tsianfan have been in Quartz display rack,Tile display rack,Wooden floor display rack and Mosaic Display rack supplying for years. We have Professional R&D team to keep in touch with the world’s latest trend and cutting edge designs.If customer has an idea, we could turn it into products. Keep you informed for latest design .Take customers’ requirements and feedback to factory and feed customers with the latest situation in factory timely. 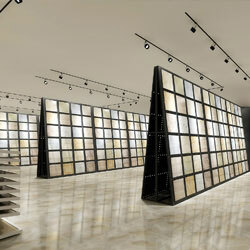 We have done a lot of exhibition halls for stone shops, tile shops, wooden floor shops and mosaic shops. with rich experience. One of our strengths is that we can customize any design to size, color and shape. Just send us over copies of your inspirations and We can design according to your sketch, photo, digital image, CAD drawing or clip art! To get exactly the color, size, and image that matches your criteria! Building materials exhibition equipment is an essential tool for building materials stores and building materials exhibitions. 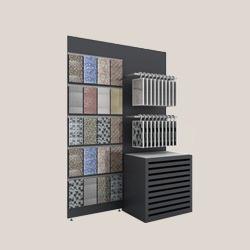 The products such as stone, ceramic tile, wooden floor and mosaic are placed on the exhibition equipment, which can reflect the beauty of the products and help customers to purchase. "Tsianfan display rack were so great, very friendly and professional. They helped us everything, including the color choosing, stone display rack materials, logo design and drawing. It is a one stop shopping for Stone display rack." "Just to let you know I have received my display stand today and they are good quality and look nice . I wanted to say "thank you" to your wonderful team. I will certainly be ordering more goods from your company. Once again, thank you. Warmest regards." "Received the goods yesterday and must say I am absolutely delighted with all the beautiful stone display rack you have sent me. They will be perfect display our stone and tile samples.Many thanks Jane, and please pass on my delight and thanks to all at Tsianfan team. I will be sure to contact you when I am in the market for more display products." "Today I get the shipment from China, our client is very happy, I want to thank you for your efforts to make this business a success. Thank you very much again and hope to return to do business with you again. Thanks." "Tsianfan display rack really a good supplier, they talked through the project with us properly before starting work, offering excellent advice, help us draw the drawing. Their professionalism and attention to detail were second to none. We would have no hesitation in recommending them to other customers." "Tsianfan display has done a excellent job for us, very friendly and professional, they help us everything. 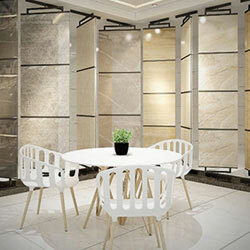 Most important, the display rack for showroom are amazingly beautiful. Thanks again and will absolutely come back if we have needs."